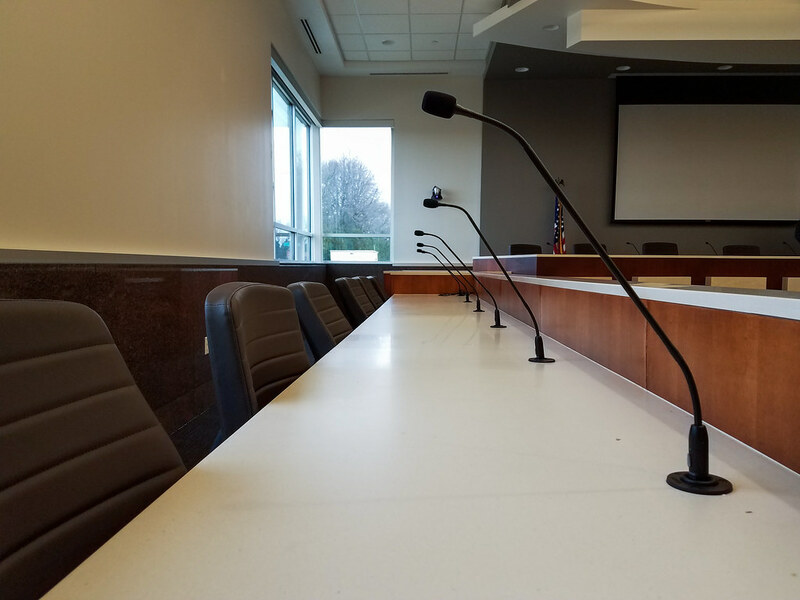 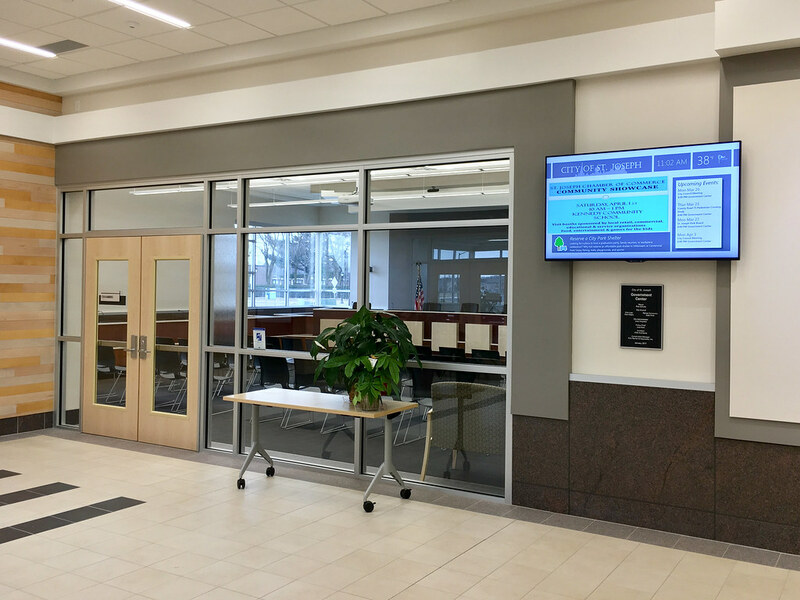 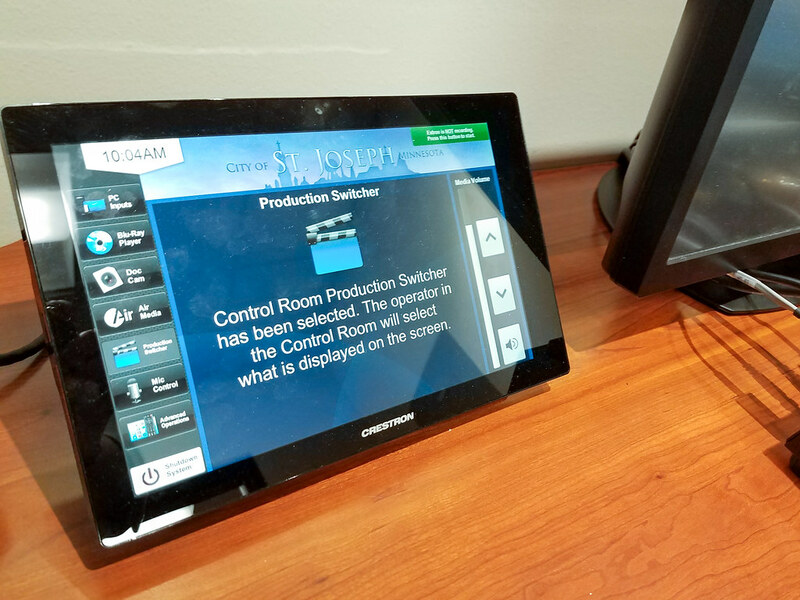 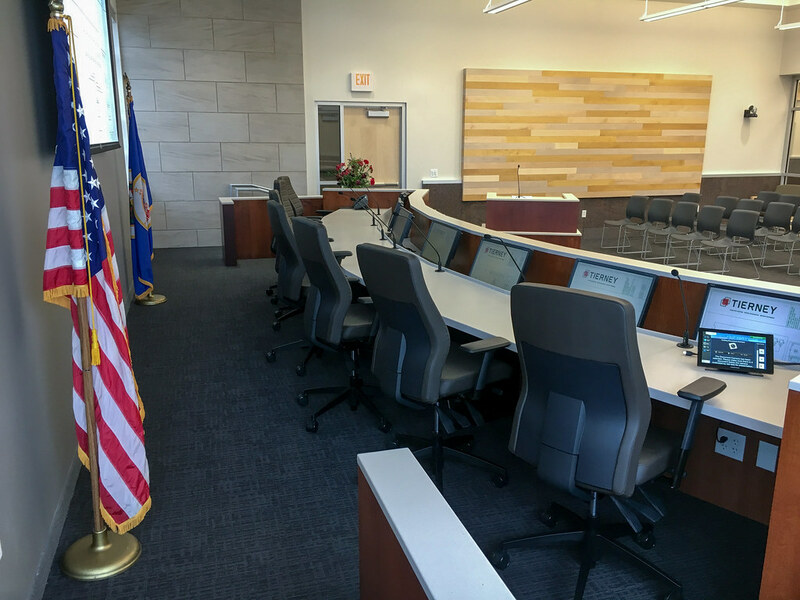 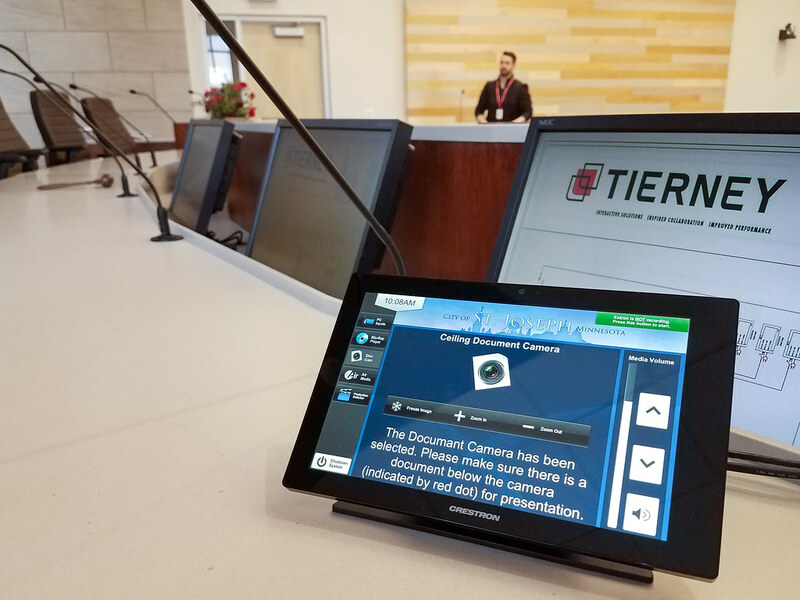 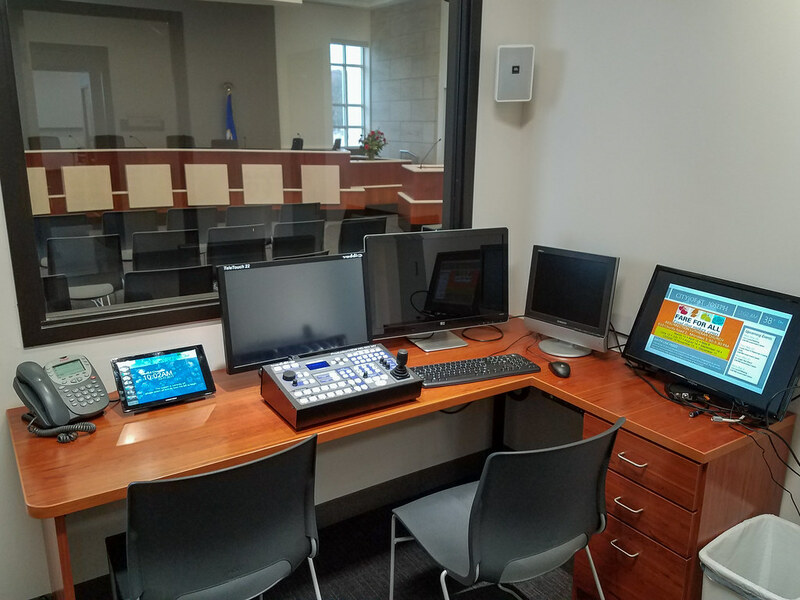 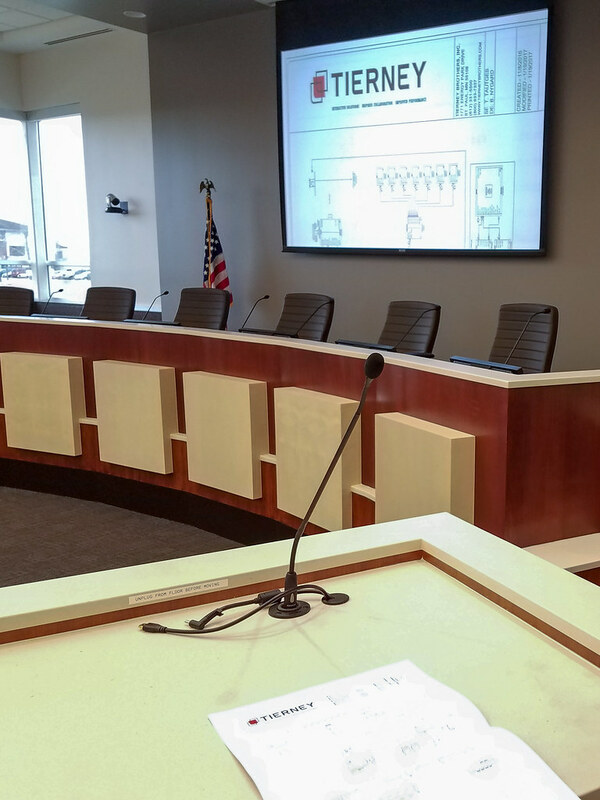 For their brand new Government Center facility, the City of St. Joseph wanted interactive functionality and room to grow, as well as accessible technology for guests of the Council Chambers. 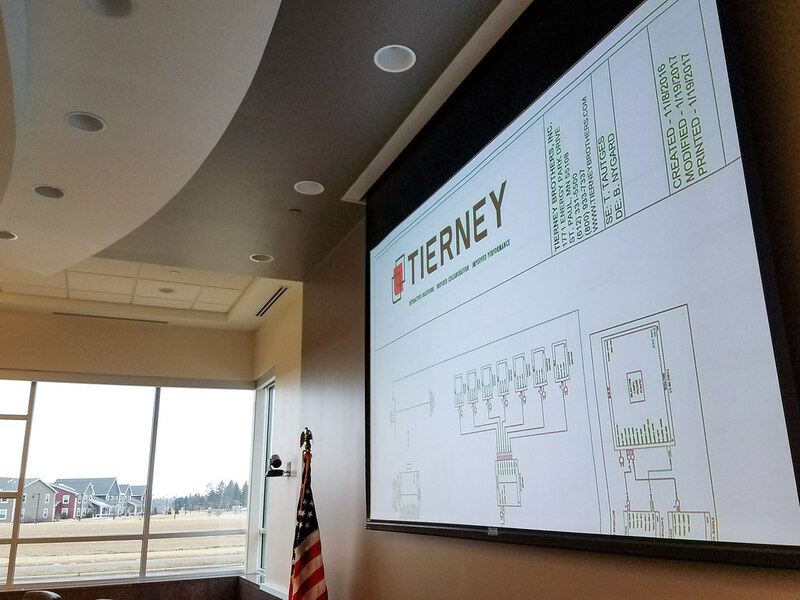 To help them achieve these goals, Tierney installed comprehensive solutions in multiple areas of the new space. 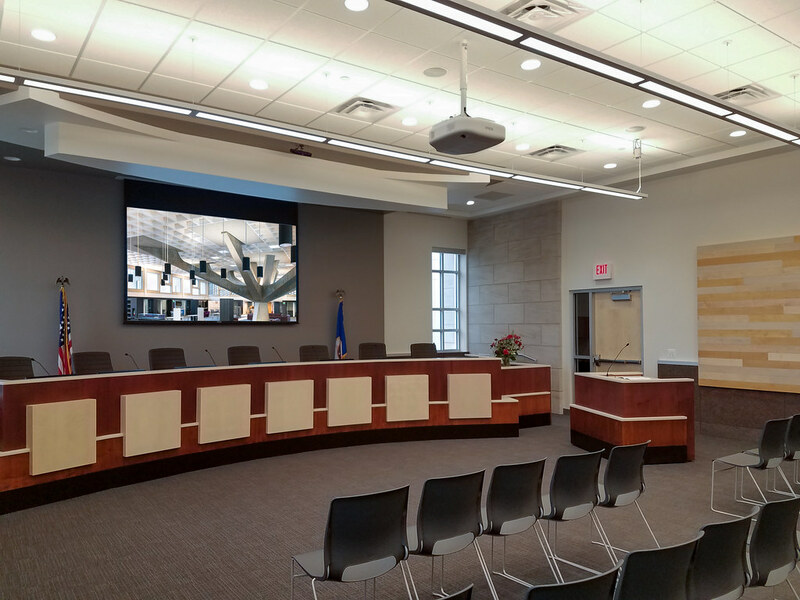 In the Council Chambers, Tierney installed an Epson L1200 laser projector and 104” DaLite screen. 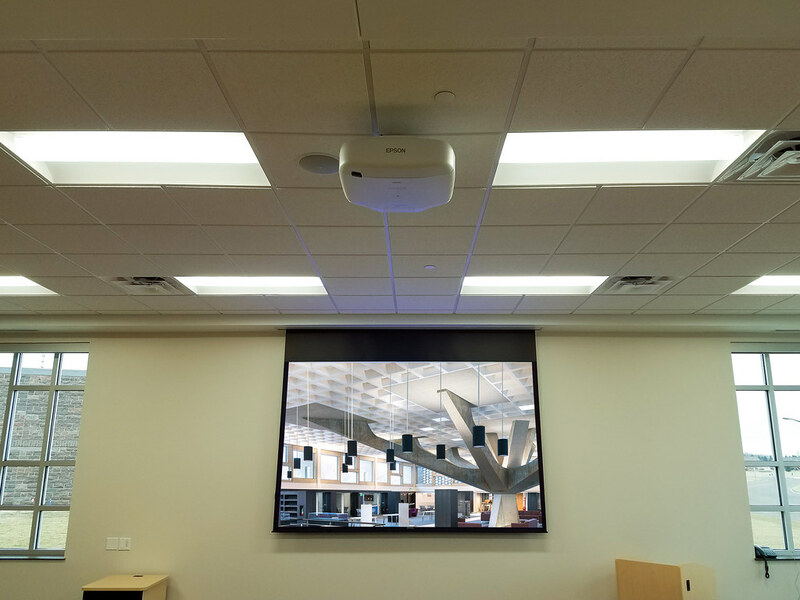 This projector displays content from one of seven sources, including a dedicated computer in the control room, a ceiling-mounted visualizer document camera over the presentation lectern, and a blu-ray player in the control room. 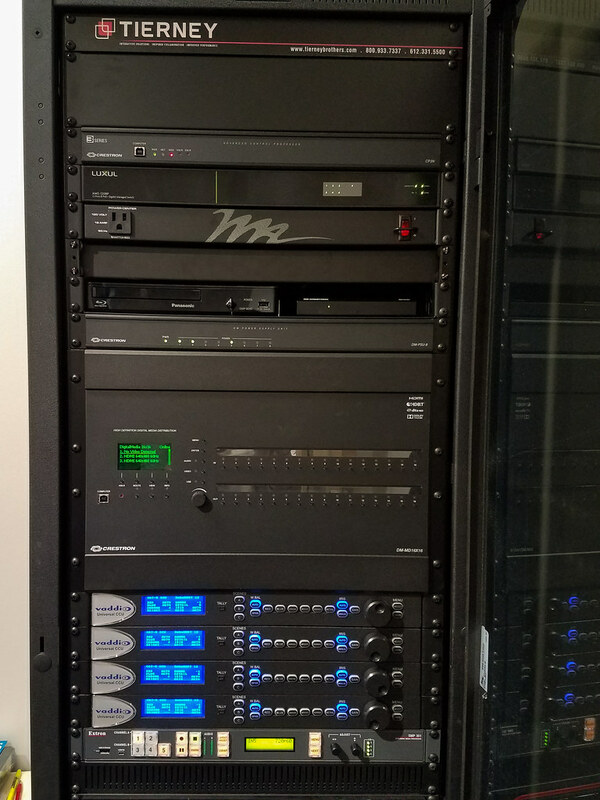 These sources are routed through a Crestron 16x16 digital media matrix switcher. 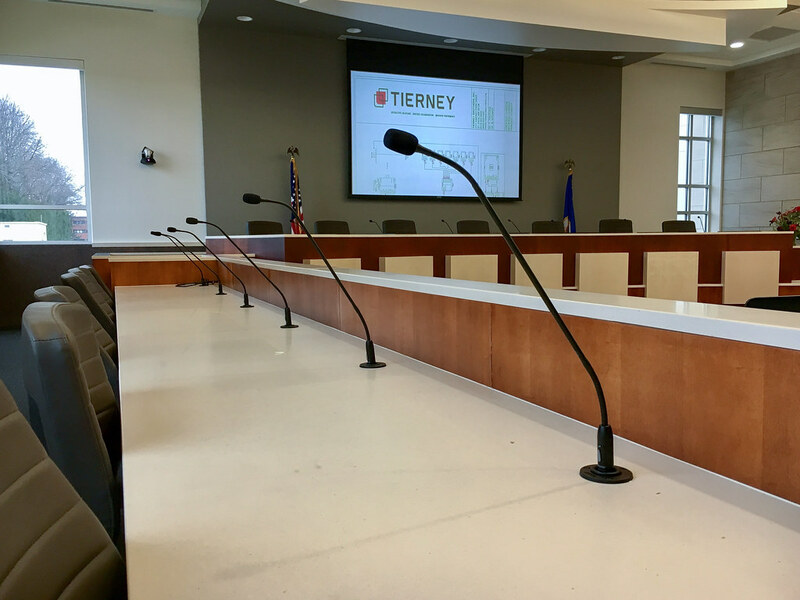 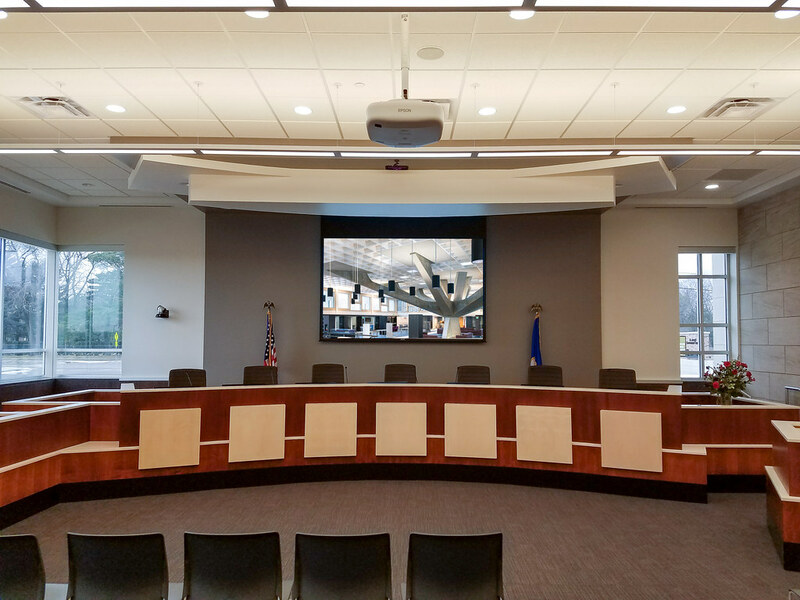 Additionally, Tierney installed four Vaddio HD wall cameras for remote viewing of proceedings, as well as multiple gooseneck microphones and ceiling speakers. 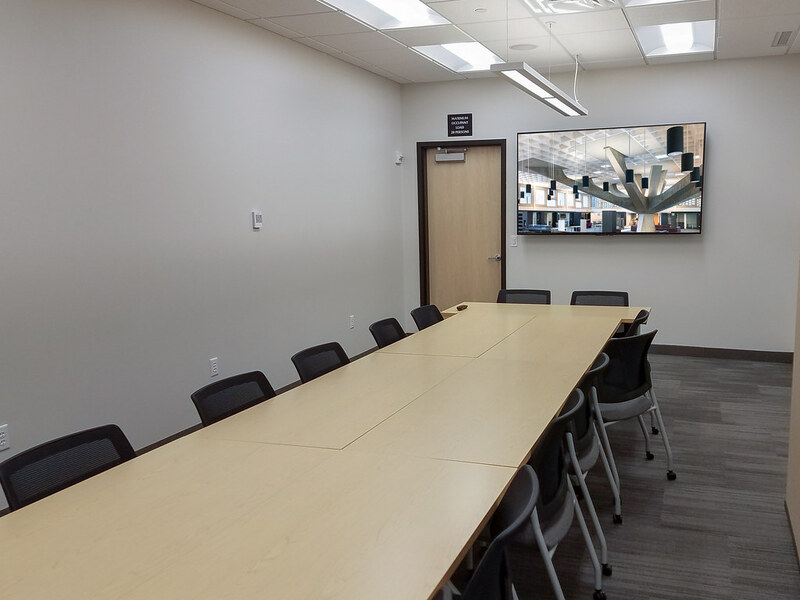 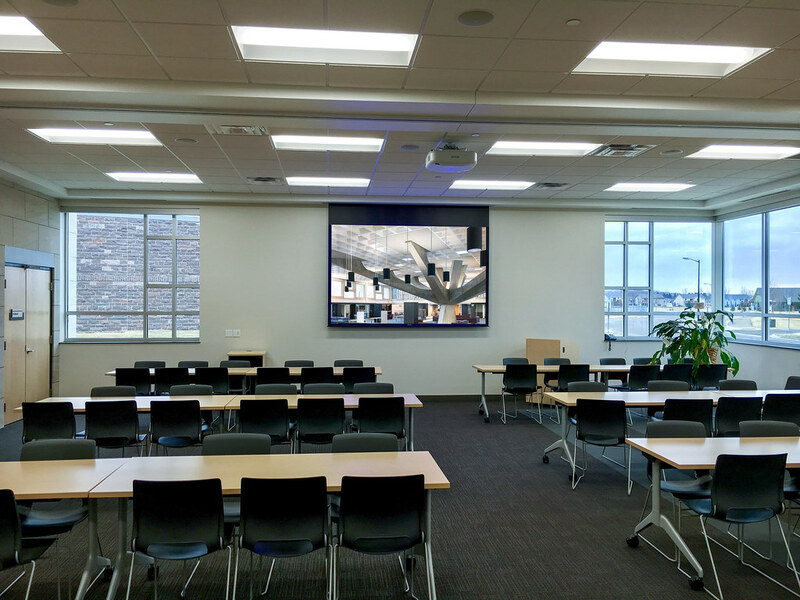 In the multi-purpose divisible conference room, Tierney installed an Epson projector and DaLite screen. 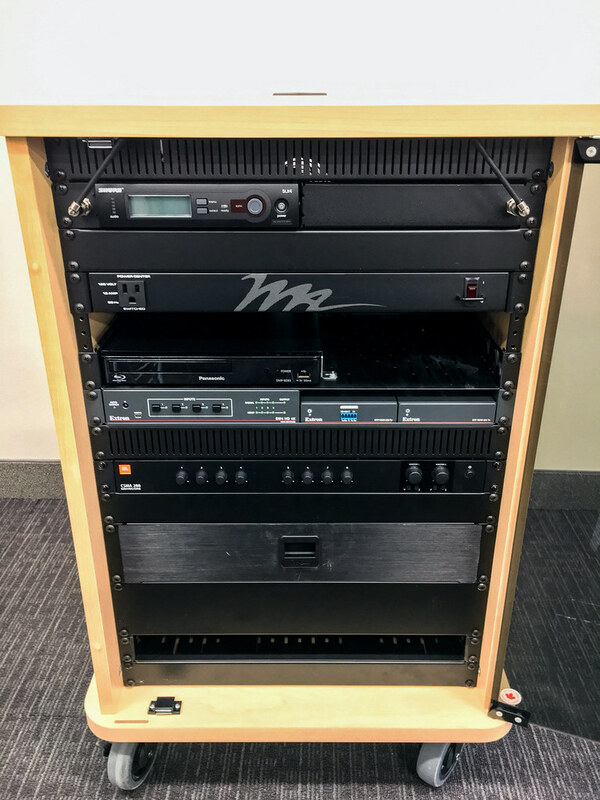 Powering this system is a PC with Blu-Ray player. 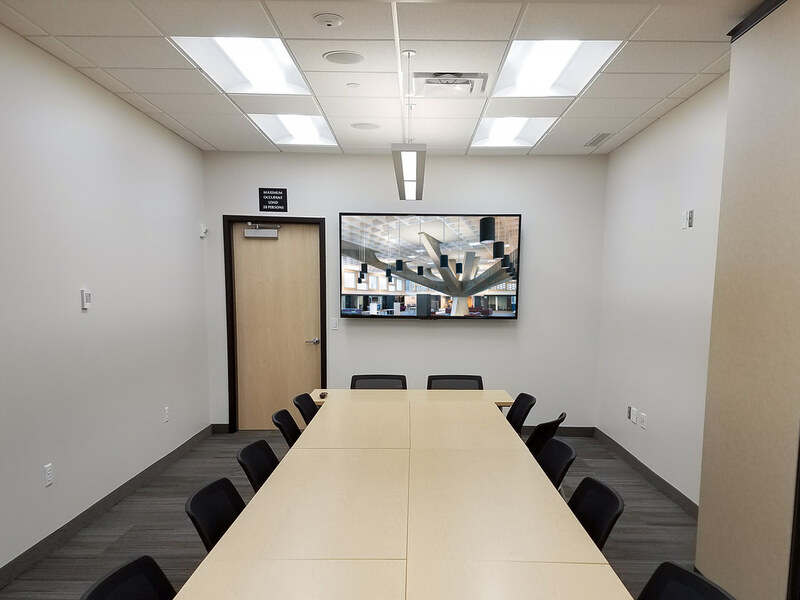 Additionally, Tierney installed JBL ceiling speakers in the space. 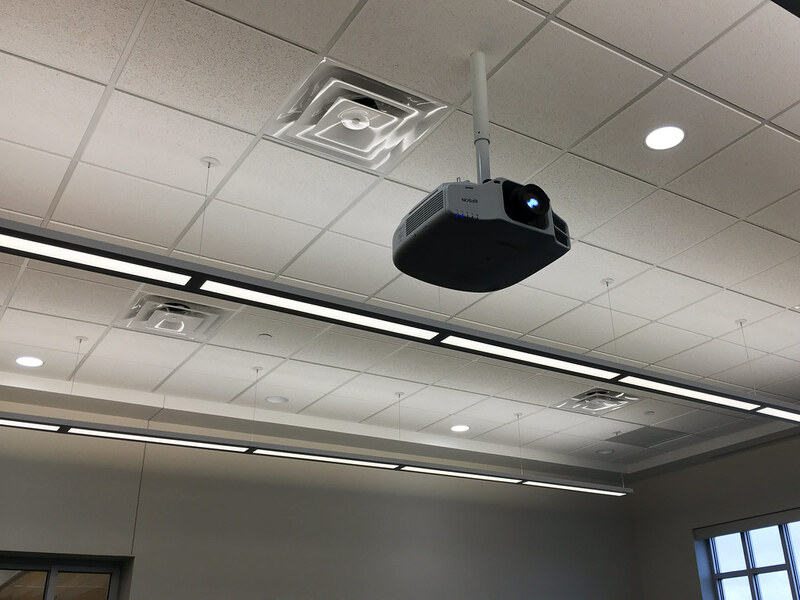 In the training room, Tierney installed a Sharp 80” HD display panel and additional JBL in-ceiling speakers. 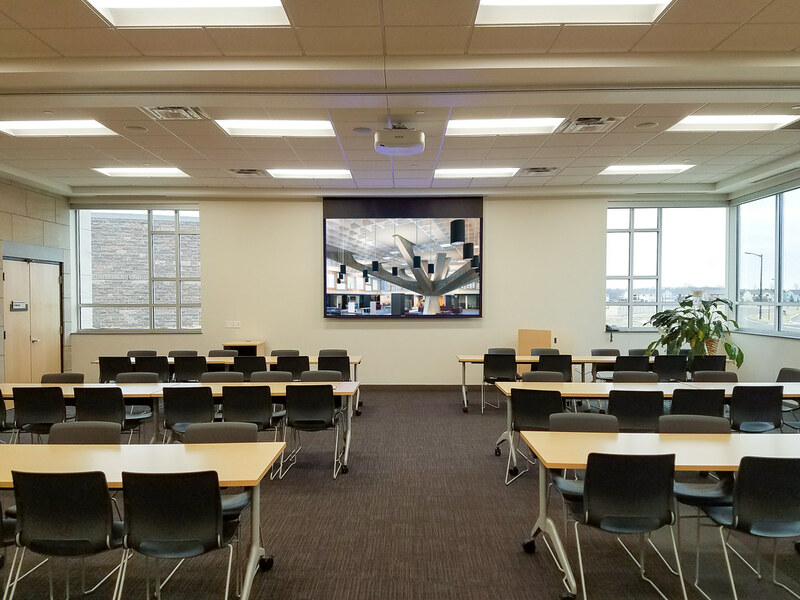 Additional equipment included a Sharp 70” HD display, a Sharp 60” HD display, control panels, and additional speakers.